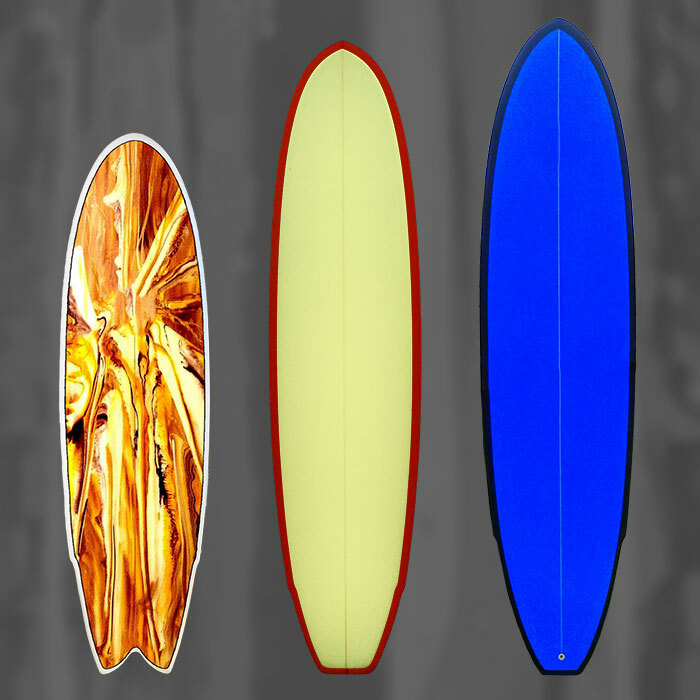 Delray Surfboard Designs have been building custom SUPs for well over a decade, we started out building all types of SUP models for our customers that got into paddle-boarding and over the last five years have concentrated on building boards for riding ocean waves. We took our decades of experience building surfboards and put that design expertise into our wave riding SUP models. All of our custom SUP Waveriders still paddle well in flat water and you can also use them in rivers and on standing waves. Where Delray SUP Waveriders really stand out over our competitors is in the waves; they have test-proven rocker curves, multi-concave bottom designs, and tuned in surf-style rails so they are fast, efficient, and stable. They paddle incredibly well for the shorter sizes and turn with precision and speed; we build these custom boards exclusively out of EPS/ Epoxy resins so these boards are really light, strong, and easy to maneuver. Our custom shop has some of the best board builders in San Diego with decades of experience so you get AAA+ quality board with exception customer service every time!